Allegra Boverman/Gloucester Daily Times. 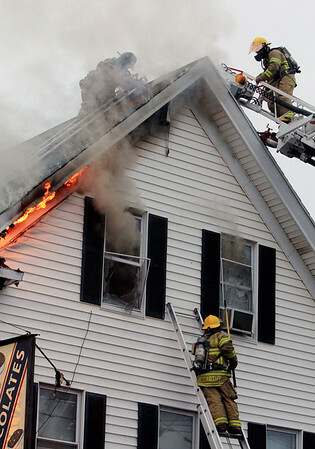 Gloucester firefighters work at the scene of a fire at 91A Washington Street in Gloucester on Thursday evening. Firefighters on the roof were cutting a hole for ventilation, while a firefighter below breaks windows to let more smoke out.